Cheeeese! 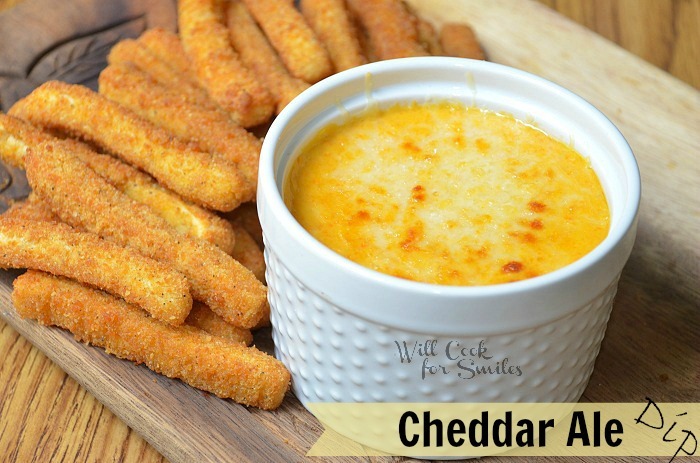 Anything cheesy is always fabulous, especially when you can dip chicken fries in it. 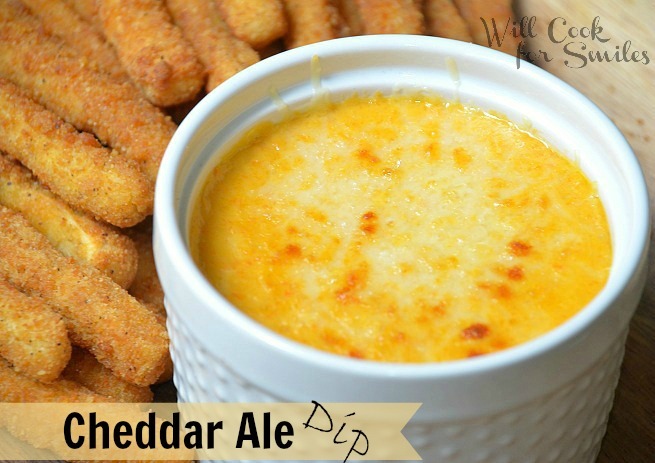 Today, I will introduce you to Cheddar Ale Dip! 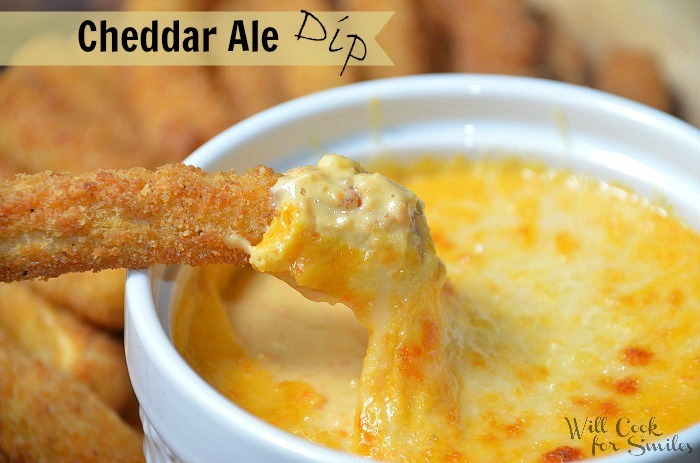 Amazing cheesy dip made with Killian’s Irish Red beer. Appetizer fitting for any party! My boys love it when I made chicken fries and I do like making it for them. Unfortunately, in the last month, I haven’ had much time to spend in the kitchen. Finals is a tough time around here. I’ve been spending hours and hours at the library and very little time to spend in the kitchen. I’ve been making my quick and easy meals for the boys. As long as everything is delicious, they are happy. As long as I can make it somewhat nutritious, I am happy! I’ve already shared my love for Tyson chicken a couple of times. I like the flavors, I like the texture and especially, I like the quality. I trust them and it’s not easy to get. So if the little man is begging for some chicken fries, I’m not home, hubby can quickly make him some Tyson homestyle chicken fries. Of course, the big one likes it as much as the little one and makes some extra for himself. Unknowingly, hubby gave me an idea for this dip back in March. Every year, around St. Paddy’s day, I make Cheddar Ale soup. Every year, hubby tells me that it would be great as a dip. 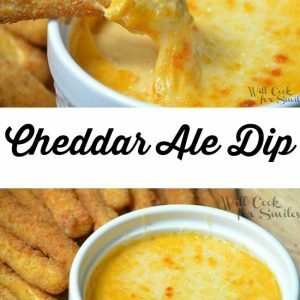 I don’t know what took me so long, but I made him some Cheddar Ale Dip. Finally! It was amazing…cheesy and creamy! Melt the butter in a small sauce pot. Add chopped onion and shredded carrot. Saute for a couple of minutes and add the ale. Simmer, on medium for about 10-13 minutes. The ale will cook down somewhat. Grate in the cheeses. Add the cream cheese and salt. Using a rubber whisk, cook, stirring, until all cheese is melted. Run it through the food processor or blender to make it smooth. If you want: Transfer it to a ramekin, add some cheese on top and set it under a broiler until the cheese is golden. If you are interested in the Tyson chicken fries, many Sam’s Club stores are hosting demos, so stop by and check them out. BONUS – you will soon be able to enter for your chance to win free Six Flags tickets for your family vacation – keep an eye on Tyson’s Facebook fan page for details! Disclosure: I am a member of the Collective Bias® Social Fabric® Community. This shop has been compensated as part of a social shopper insights study for Collective Bias® and Tyson #cbias #SocialFabric”. Yummy! I want some NOW! That sounds amazing! We went to The Melting Pot recently and this dip totally reminds me of eating there! Love the Melting Pot 🙂 This dip would definitely make great fondue! This sounds so good! 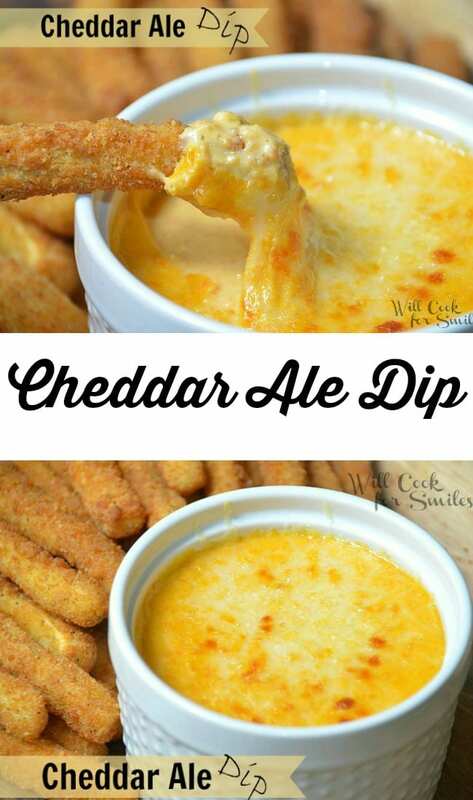 I love beer-cheese anything – can’t wait to try this! Thanks for linking up on Shine on Fridays! I can’t wait to taste this dip. Your recipe is fabulous and thank you so much for sharing with Full Plate Thursday. Have a great weekend and come back soon! This recipe sounds DELICIOUS!! Thanks for sharing. Yummy!! Everything you make looks amazing! Oh my word! Your dip looks amazing. My tummy is rumbling! Pinning! The alcohol cooks out completely, Ethel. But if you don’t like to use alcohol in cooking, get non-alcoholic beer. Your recipe looks so good. I want to make this. The measurement of the beer; is it 3/4 cup or 3/4 of the bottle? Thanks! 3/4 cup, dear! Thank you for letting me know! !